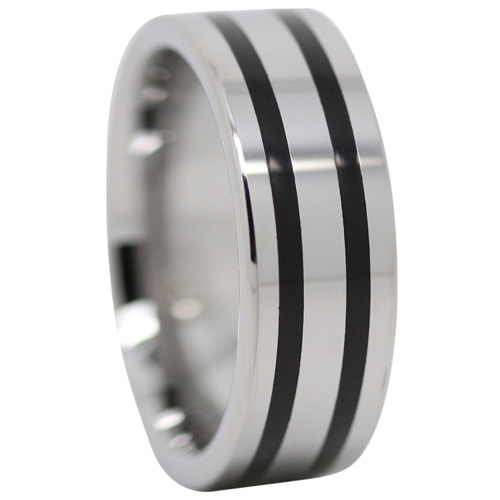 This polished tungsten mens ring features twin black stripes. It’s particularly good as a modern dress ring, that will go with just about any outfit. You were seeking a band with grooves.